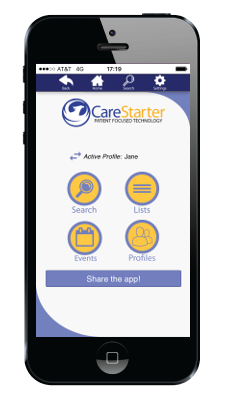 From the home page, click on the “Profiles” button to be directed to your list of patient profiles associated with your Carestarter account. You can select a profile to edit or select the “Create New Patient Profile” button to create a new patient profile associated with your account. *Note if you are creating a new patient or caregiver profiler, you must go through the process and can read more here. There are several screens you will be guided through. The first will prompt you to add your patient’s nickname, date of birth, gender and zip code information. The second screen will ask you to add the patient's ethnicity. Next you will be directed to add your relationship to the patient and if you are the primary caregiver. 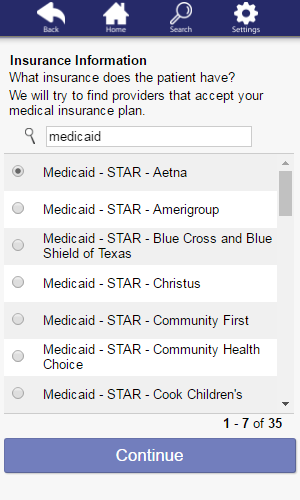 Users can search for their insurance carrier in our database, by entering the name in our search box. Once you’ve located your insurance carrier, simply select and add. This particular feature is, personally, one of my favorite functionalities of the Carestarter platform. Later, when you begin searching for providers to suit your specific needs, provider recommendations are made that accept your insurance first. No more surprises when you visit the office or having to make extra phone calls to providers individually. Use the search function to filter diagnoses by name. We currently have over 250+ diagnoses listed in our database. Enter in a portion of the diagnosis to filter your options and make your selection. If you don’t see a diagnosis listed, you can recommend one by clicking on the, “Are we missing a diagnosis?” link. Next you will be prompted to include more information about when the patient received the diagnosis. 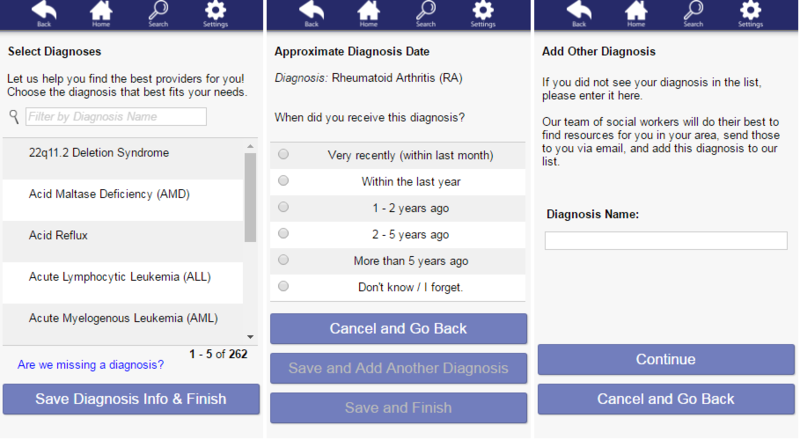 You can add another diagnosis by selecting the "Save and Add Another Diagnosis Button" or "Save and Finish." Once you’ve added a diagnosis, you have the ability to create or edit more profiles as well as begin searching for providers in your area. Look for another tutorial coming soon.